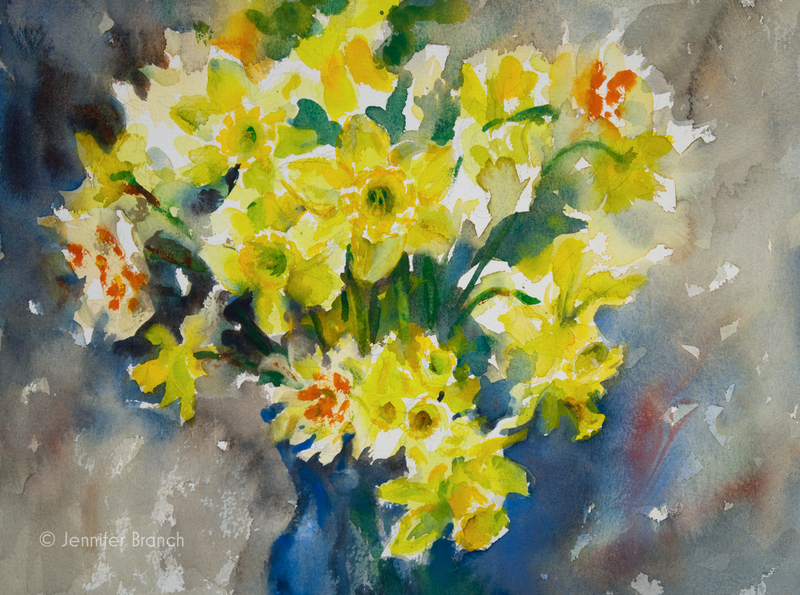 This beautiful watercolor painting of daffodils will welcome spring into your home, no matter what the season. The cheerful yellow of the flowers will make you smile every time you look at it. 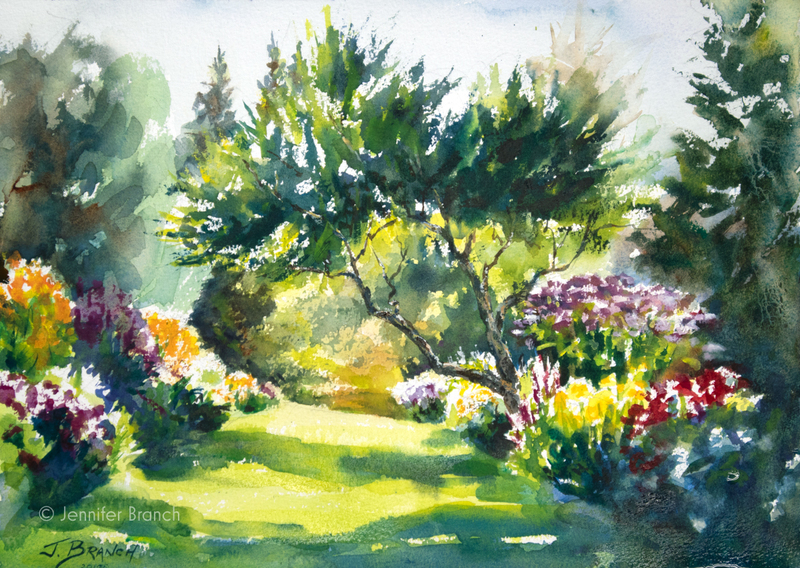 YouTube watercolor painting tutorial of a garden path in Maine. 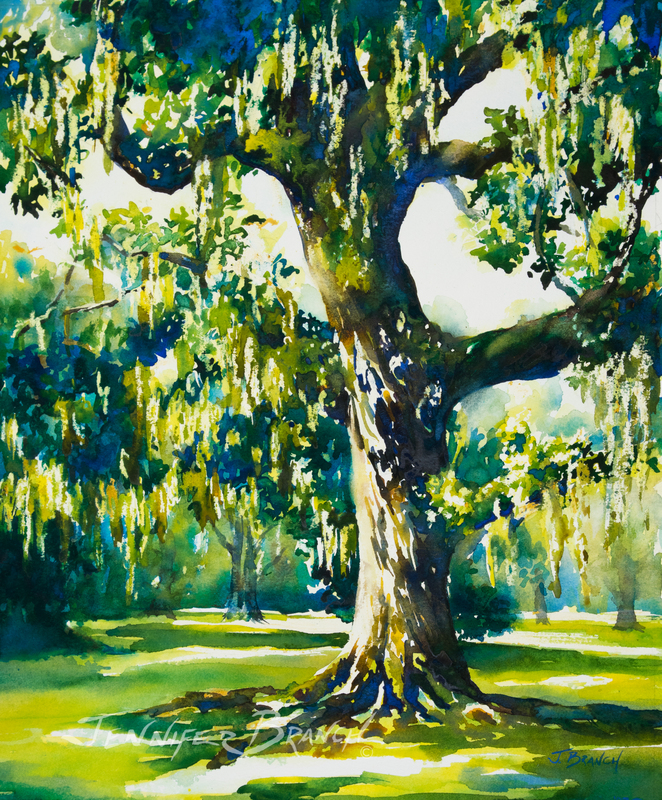 Learn to paint bright sunlight flowers surrounded by deep woods. 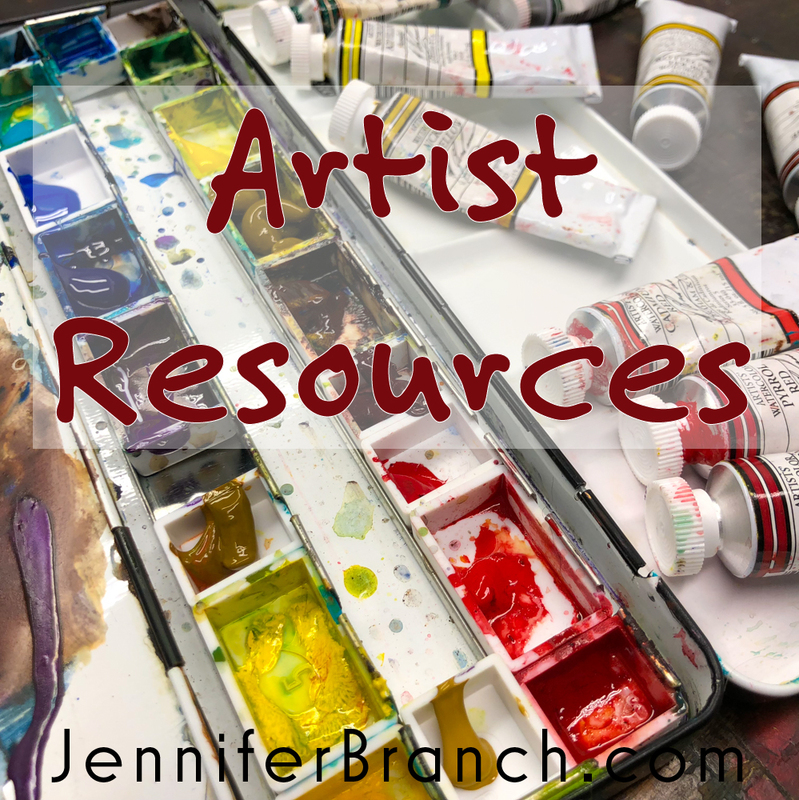 Great artists, books and websites to inspire your watercolor painting! 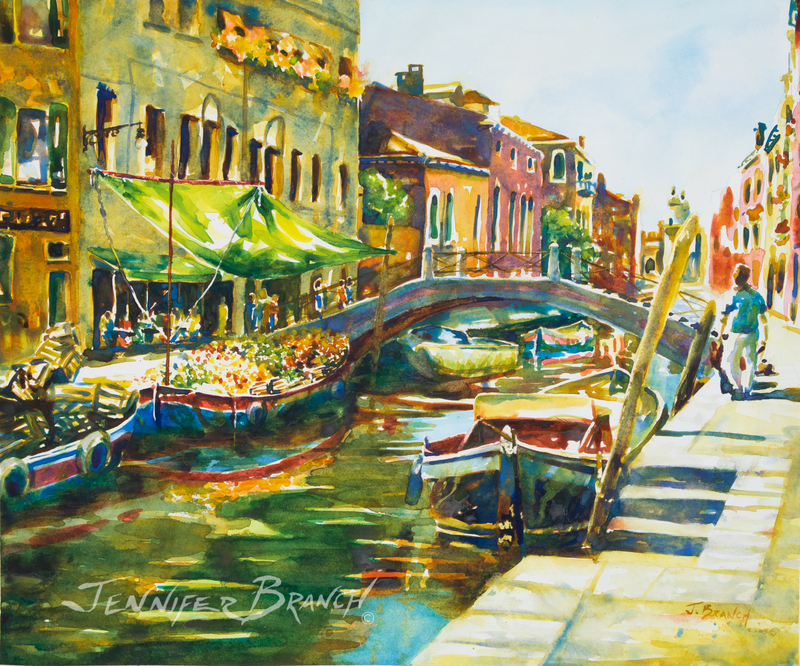 Professional artist Jennifer Branch gives you her favorites! 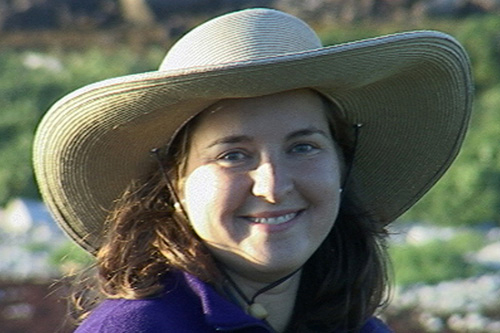 Not to mention her goto art supply stores. 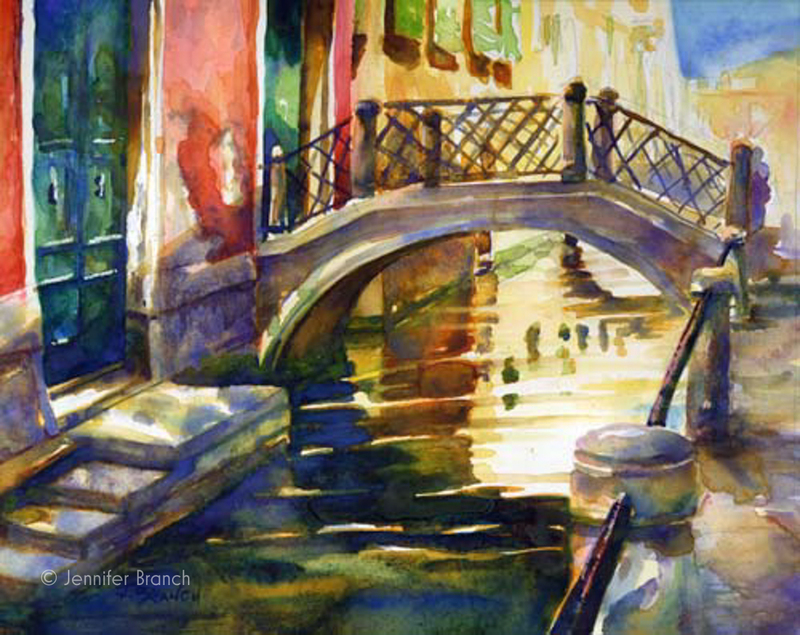 Here are a few easy ways to improve your watercolor painting today! 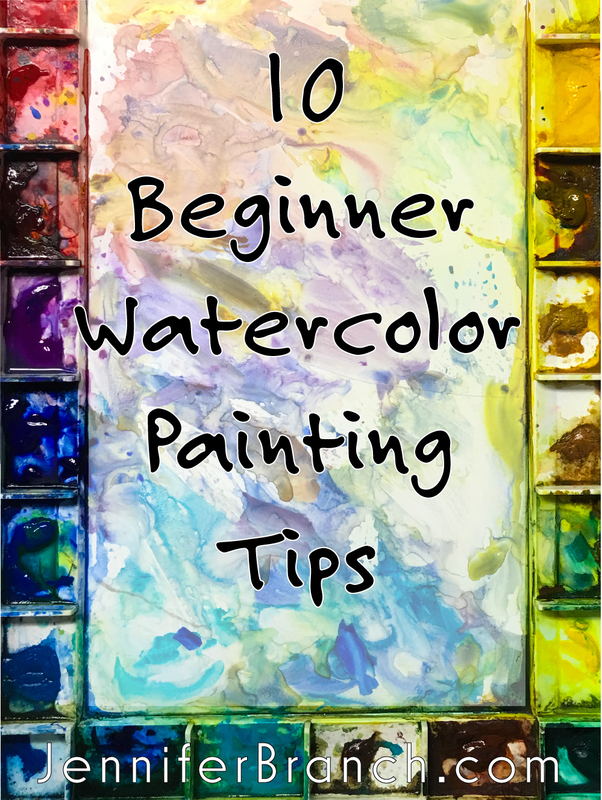 YouTube watercolor painting tutorial of a dog playing in the snow shows you every step of the painting process, from paints to brush strokes. 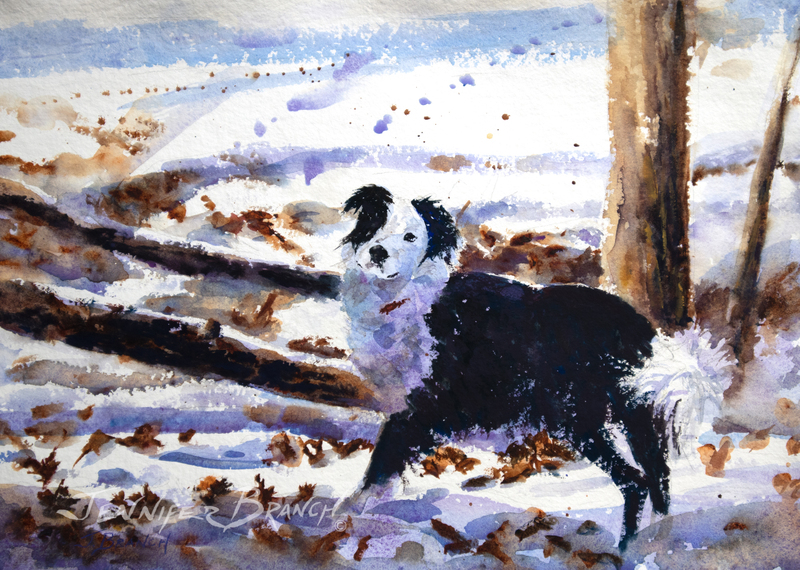 Watercolor painting of an English Shepherd dog playing in the snow by Jennifer Branch. 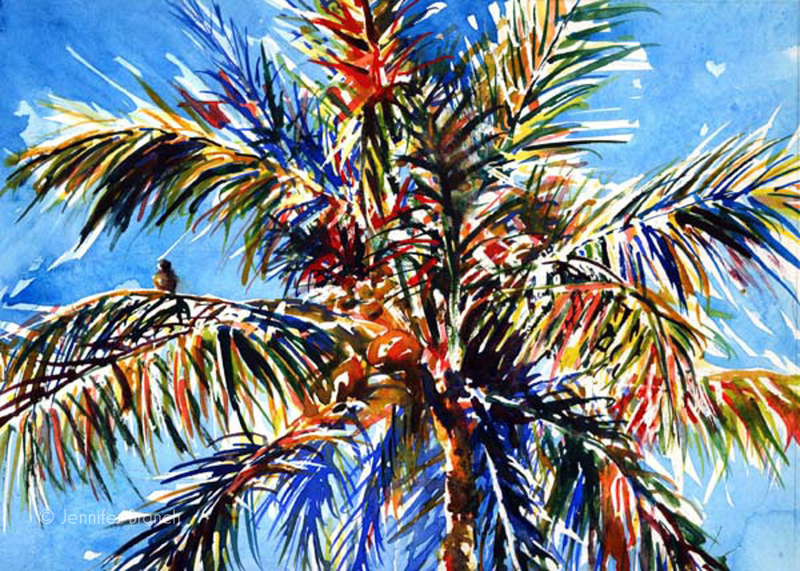 Paint beautiful Christmas cards for your family and friends! In the introduction, I show you all the materials you need to paint a gingerbread house card, including a free printable! 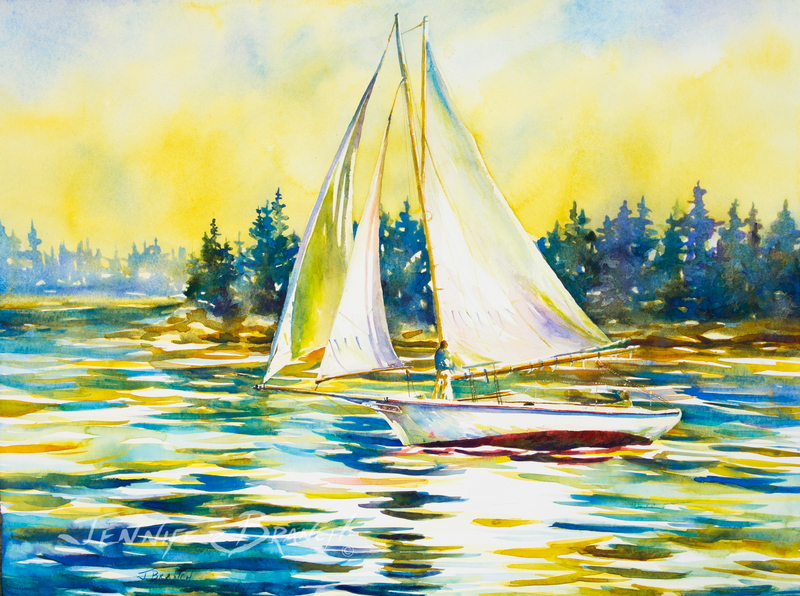 Paint beautiful Christmas cards for your family and friends! 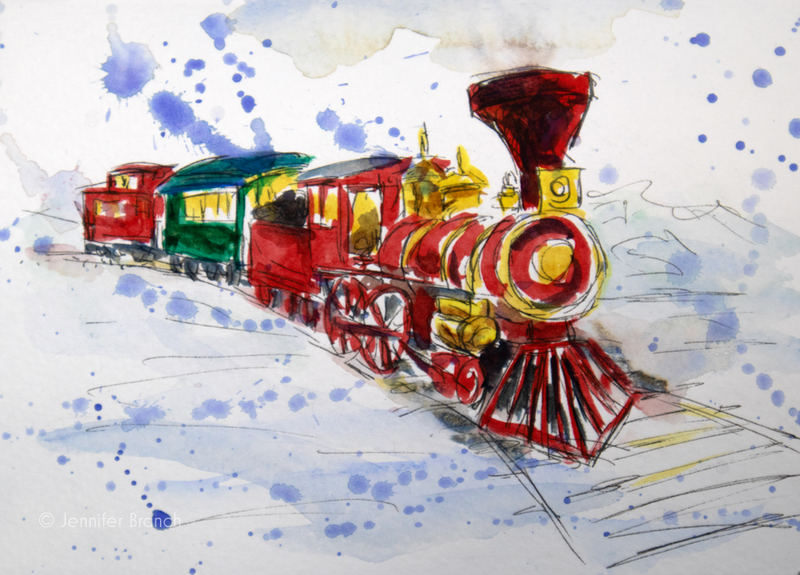 In the introduction, I show you all the materials you need to watercolor paint a train card. 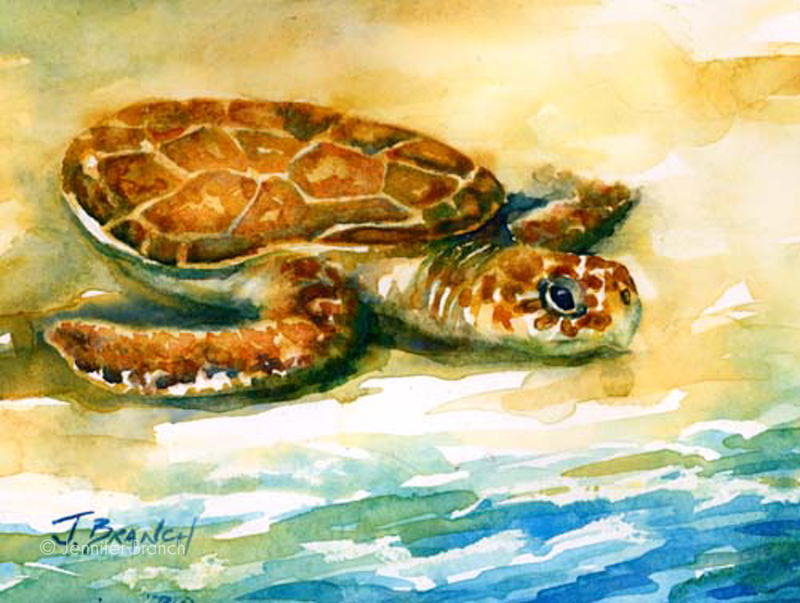 Paint beautiful Christmas cards for your family and friends! 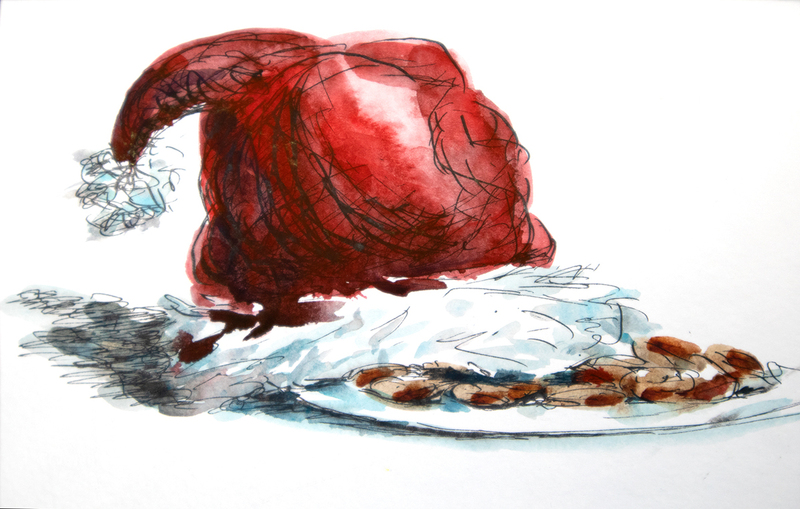 In the introduction, I show you all the materials you need to watercolor paint a Santa hat and Christmas cookies. Paint beautiful Christmas cards for your family and friends! 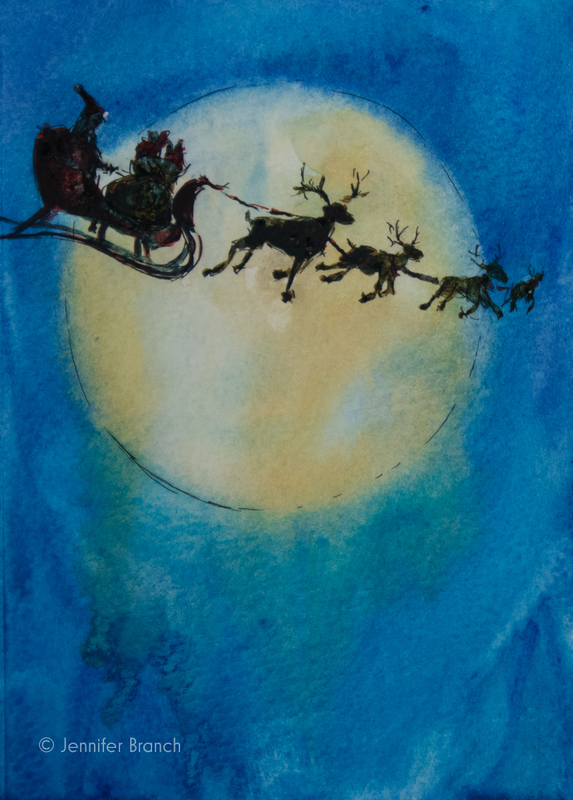 In the introduction, I show you all the materials you need to watercolor paint this beautiful Moon with Santa card. 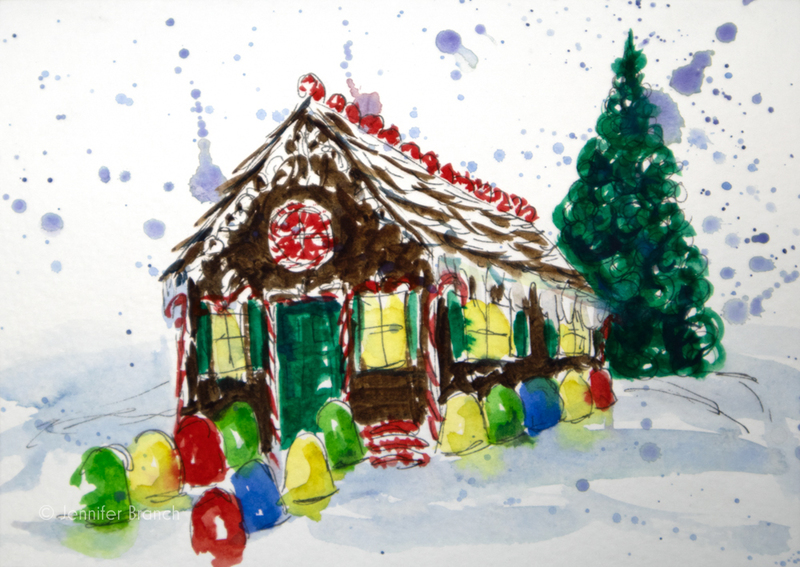 Paint beautiful Christmas cards for your family and friends! 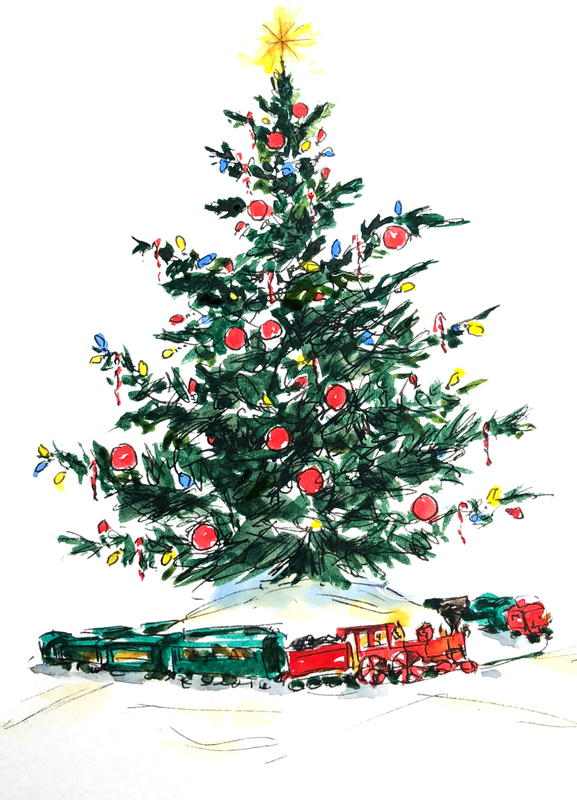 In the introduction, I show you all the materials you need to watercolor paint this beautiful Christmas tree card. Everyone has that feeling of walking into the light sometimes. You know the view will be beautiful, but it's hard to see the detail of each step along your path. 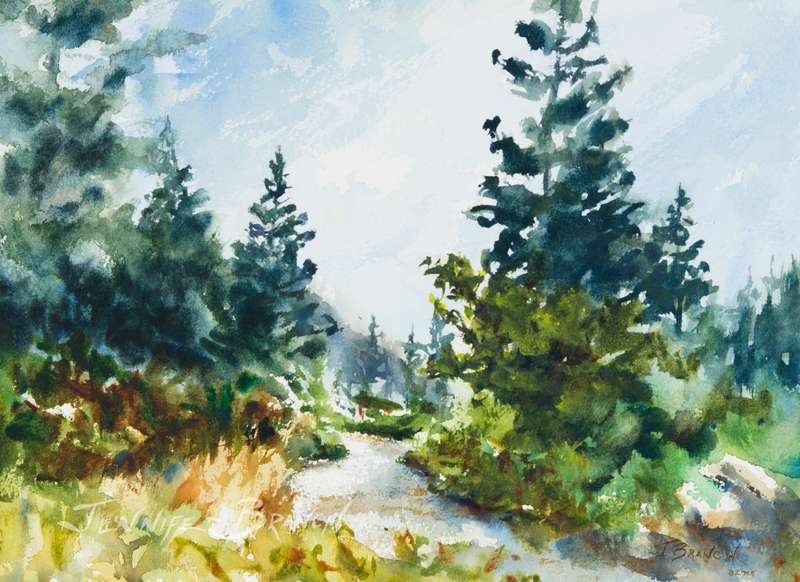 This watercolor painting is a reminder to enjoy your journey. 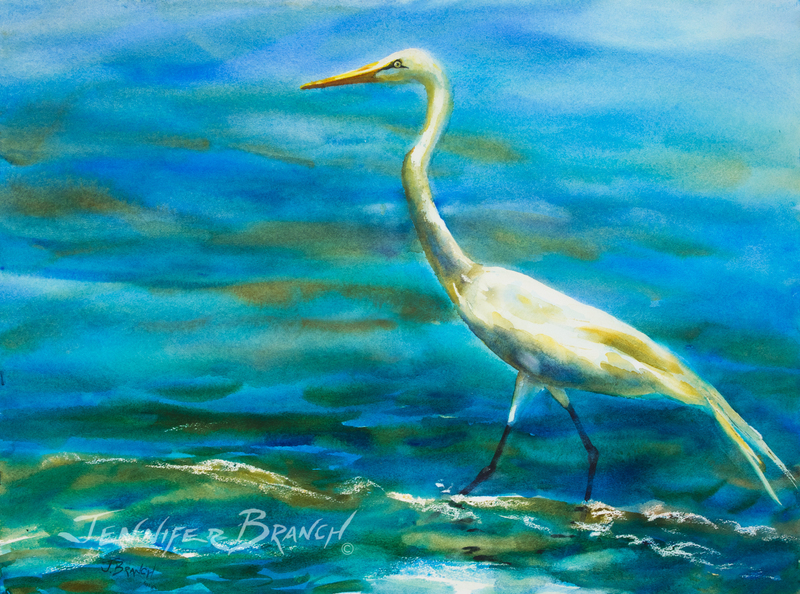 Step by step YouTube watercolor painting tutorial by Jennifer Branch. 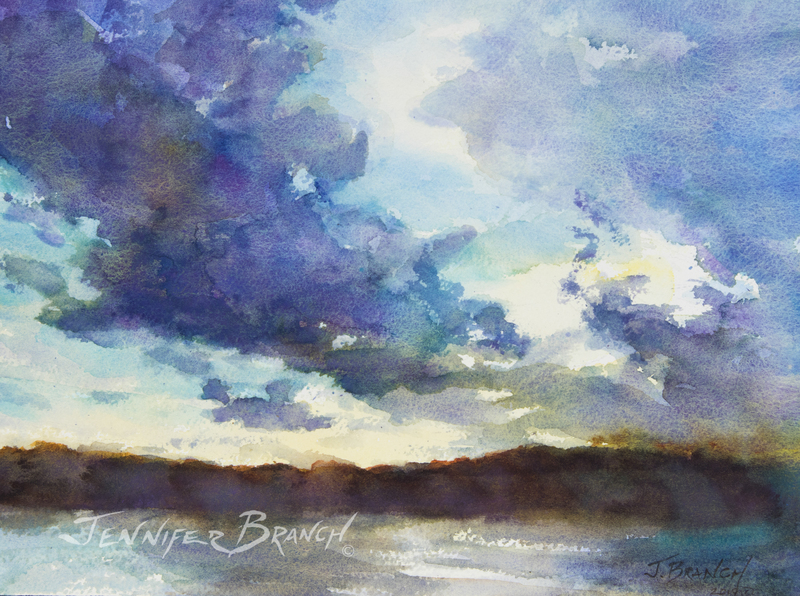 Walk along the edge of the Maine coast in this watercolor painting by Jennifer Branch. I think everyone has that feeling of walking into the light sometimes. You know the view will be beautiful, but it's hard to see the detail of each step along your path. This lighthouse path painting is a reminder to enjoy your journey. Those shimmering steps are beautiful too. 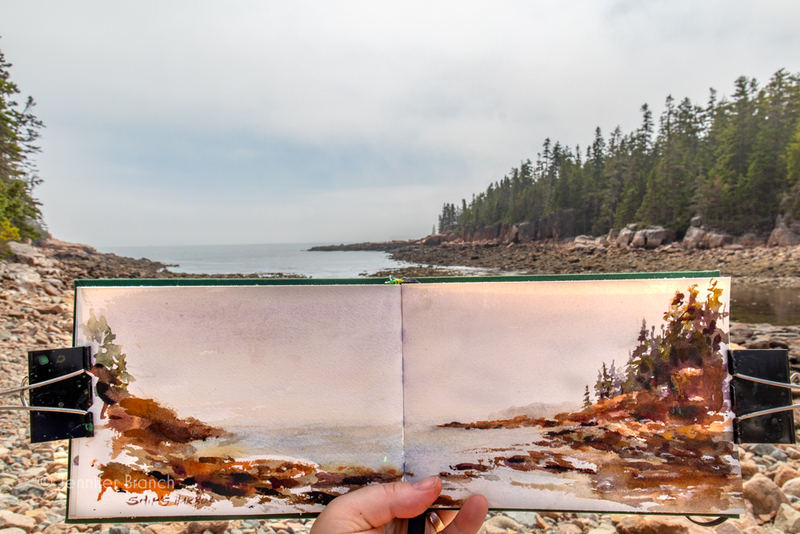 Maine is one of the most beautiful places in the world for sketching. 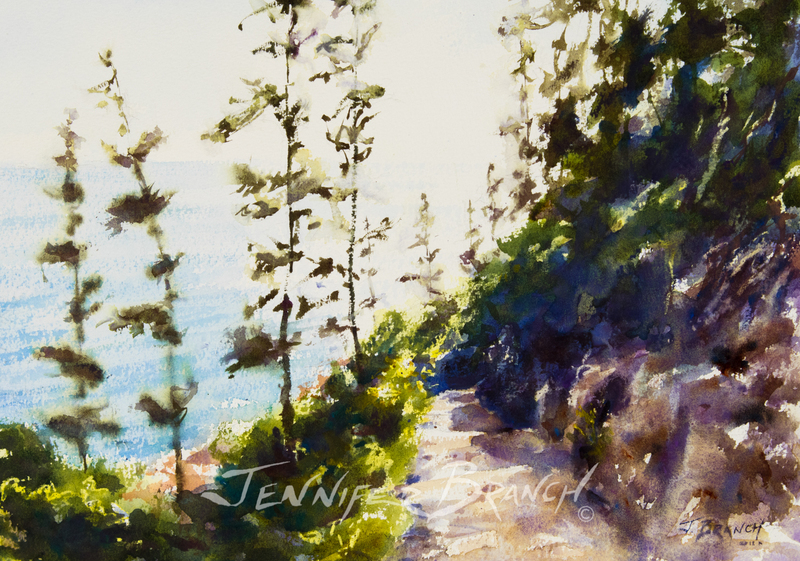 With a few weeks of sketching around Acadia National Park, I am inspired to paint!